Diljit Dosanjh, Yograj Singh, Sunanda Sharma et al. 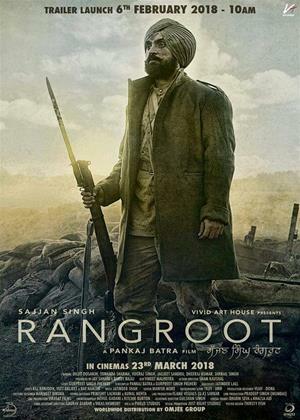 The story of the film being on the major general Sajjan Singh (Diljit Dosanjh) just like the title Sajjan Singh Rangroot. Rangroot means a new private soldier or Squaddie. The 100th anniversary of WW1 being at 23rd March 2018 and on the same day releasing this movie is a great way to celebrate the sacrifices of all the soldiers and also the brotherhood of indian specially sikh soldiers and british army who together fought in this First World War. It is also said that without the Sikh soldiers it would have been difficult to won this War. The situations undergone by all and what challenges they faced for all the citizens will be perfectly outlined in this movie along with comes a love story too to entertain the viewers may be which will be acted upon by Diljit Dosanjh and Sunanda Sharma.